Located 130 km from Hanoi and about three hours over a cloudy mountain range, Mai Chau offers a great day trip to tourists who are curious about Vietnam's northwest. The mountainous climate offers a full four-season experience in a single day. Mother nature has given special favor for northwestern Vietnam with grandiose mountains, fanciful caves, lots of bumpy streams and winding rivers. Besides, it’s th unique traditional culture of the ethnic minorities that creates the seductive beauty for the northwest. One of the favorite traveling program for foreigners is trekking through the mountainous villages of the northwest region. This is a new kind of tourism for those who love to discover, experience, and learn about manners and customs from many cultures. And Mai Chau Valley is one of the convergence destinations of exciting experiences that attract tourists. 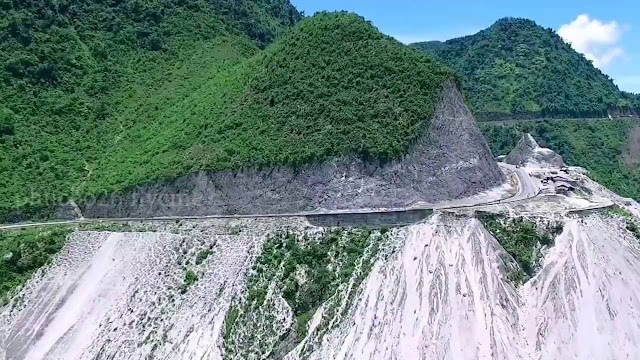 Pass through the steep slopes in Thung Khe, Thung Nhuoi, you will admire the romantic beauty of the mountains and forests on the road to Mai Chau. 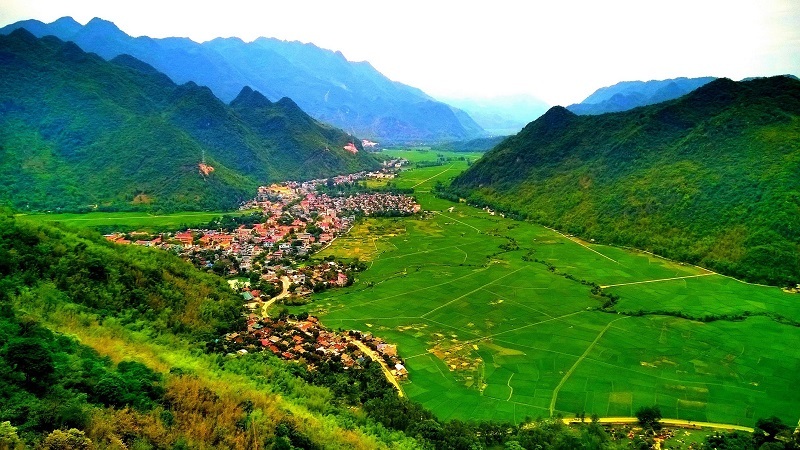 Located in the northwest of Hoa Binh Province, Mai Chau is a land of convergence of many ethnic groups. 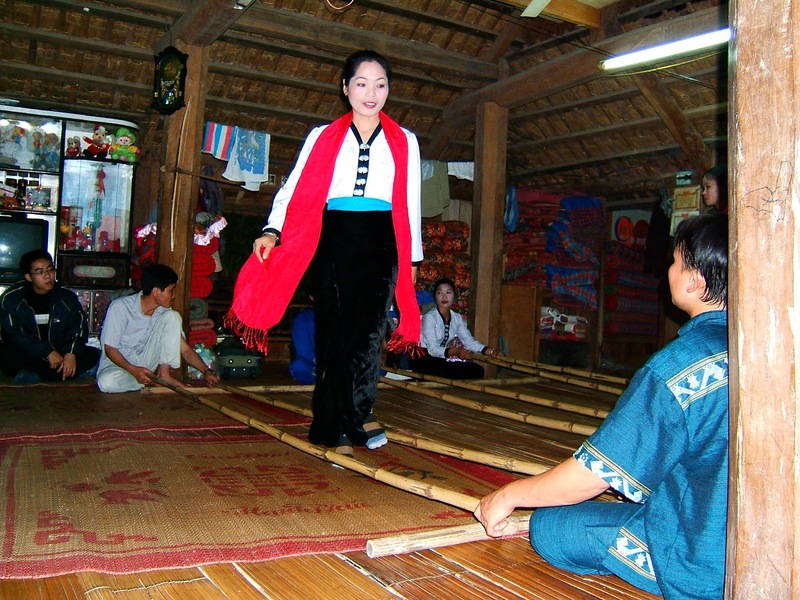 Each ethnic group has its own identity, customs, and practices that contribute to the diversity of Vietnamese culture. No magnificent scenery, no luxury service, but Mai Chau still has its own appeal to those who want to find the peace of space, the essence of culture, the unique features of regional cuisine in the mountainous area. If you want to make sure to not miss any beautiful places or any information so you can join the short trip like Mai Chau 2 days 1 night or 1- day trip to discover Mai Chau. 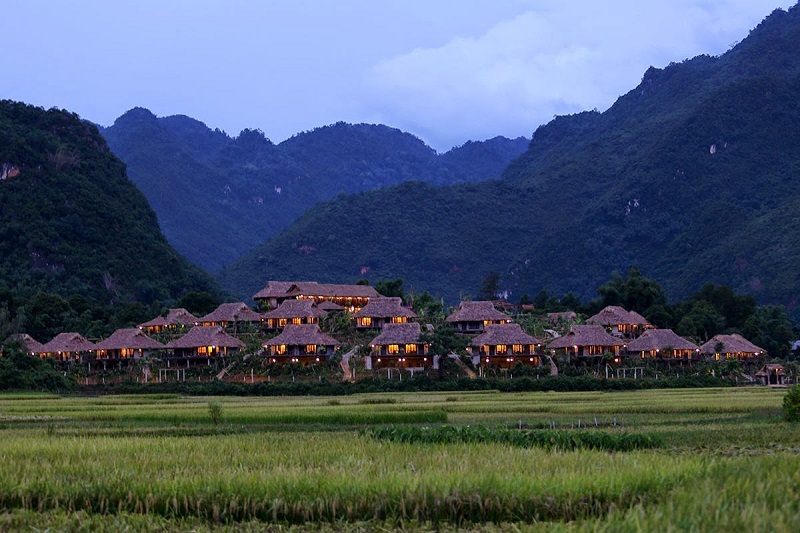 Mai Chau village is a popular tourist attraction. The houses on stilts are quite large and are covered by palm trees. The floors are made of bamboo’s wood. The windows not only are big in order to pick up the wind but also hang on orchid of baskets and bird cages. It is difficult for tourists to forget the camp-fire nights playing gongs, communicating with artisans, dancing with Muong girls. Cooking culture with unique dishes is an interesting factor to attract tourists. 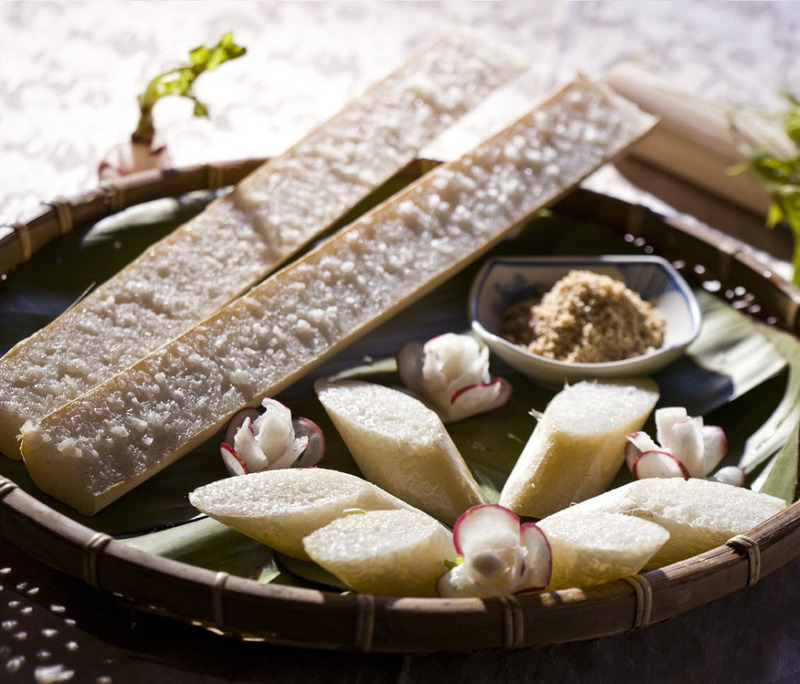 To name some traditional dishes, they have steamed glorious rice, bamboo tube rice, grilled fish, vegetable, bitter bamboo sprout, dried meat, thin-top mushroom, etc. Coming to Nam Son commune, Tan Lac district, Hoa Binh Province, visiting the original Nam Son cavern, you will enjoy the specialty here: Nam Son chicken. 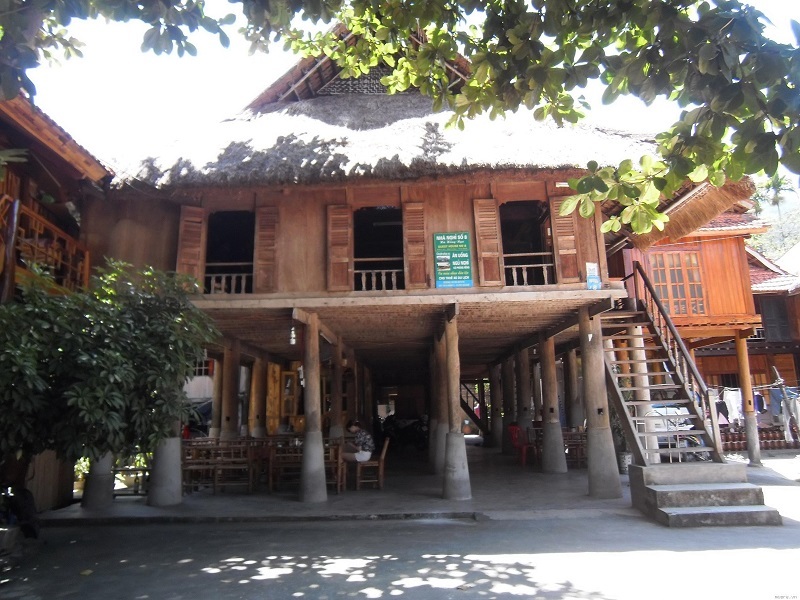 A majority of Mai Chau's residents are members of the Thai ethnic minority and reside in traditional nha san (stilt homes). Only three kilometers from Son La town, you can live in Thai’ ethnic tradition. Thai’ girls who have not gathered their hair in a high bun yet (it means isn’t married) will invite you to their traditional party with wine, bamboo-tube rice, “com khau”, “mang lay”, “ pinh top” etc. Son La also has Mong village which is a green tourism, cultural, and relaxing site in the Hua La commune. Mong village has a hot natural stream named Bo Nam Un. The water has got medical properties. 100 Thai families live in here. They live in houses on stilts in the edge of mountains. The roofs are well-decorated with the images of elephant tusks and the moon. The handicraft here includes forging, making brocade, knitting, making pottery. The sound of drums, gongs, birds, combining with stretching dance, butterfly dance, Pieu dance and the song “Inh La Oi” in will make good impression for tourists visiting Mong village.